Representative Honours: Northern Ireland: 5 Full Caps (2009-2011), 1 B Cap (2009), 3 Under-23 Caps (2008-2010), 14 Under-21 Caps (2007-2009), 3 Under-20 Caps, 14 Under-19 Caps, 2 Under-18 Caps, 11 Under-17 Caps. Club Honours: (with Linfield) IFA Premiership Champion 2009/10, 2010/11, 2011/12; Irish Cup Winner 2009/10, 2010/11, 2011/12; (with Portadown) Irish Cup Runner-Up 2014/15. 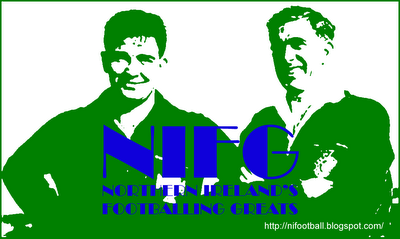 A promising midfielder with Stoke, a spell with Wrexham ended with relegation from the Football League in 2008. 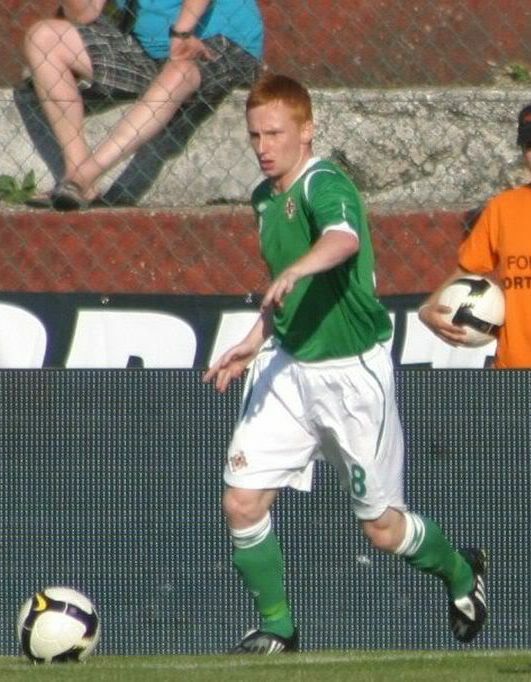 He then joined Linfield, where his great uncle Billy Ferguson was formerly a player, and his performances earned him a call-up for Northern Ireland at the end of the 2008/09 season. He was called-up for a second time the following summer having aided Linfield to "the Double", earning the Man of the Match award in the 2-1 Irish Cup final win over Portadown. In April 2013 Garrett joined up with ex-Linfield teammates Daryl Fordyce and Albert Watson at Edmonton on a season long loan deal. Summary: 3(2)/0. Won 0, Drew 0, Lost 5. Summary: 3/0. Won 0, Drew 1, Lost 2.